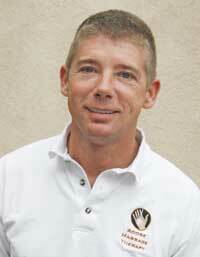 Jeff founded Adobe Massage Therapy in Las Vegas, Nevada in 2010. Each patient at Adobe Massage Therapy receives a personalized treatment plan and Jeff works with your physician to insure that you are getting the exact treatment you need to produce optimal results. Using a range of Swedish, Deep Tissue, and Energy massage techniques, Jeff benefits the body, mind and spirit by improving circulation, detoxifying the body, relieving tension, improving digestion, enhancing muscle tone, and increasing mental alertness. A graduate of the Southern Nevada School of Massage Therapy in Las Vegas, Jeff provides massage and reflexology services to help people recover from automobile accidents, sports injuries, and workplace injuries caused by repetitive motion, poor posture, and poor lifting habits. Jeff, a member of the AMTA, is currently enrolled at the Southern Nevada School of Massage Therapy Master Body Worker program and is licensed in both Nevada and New Mexico.